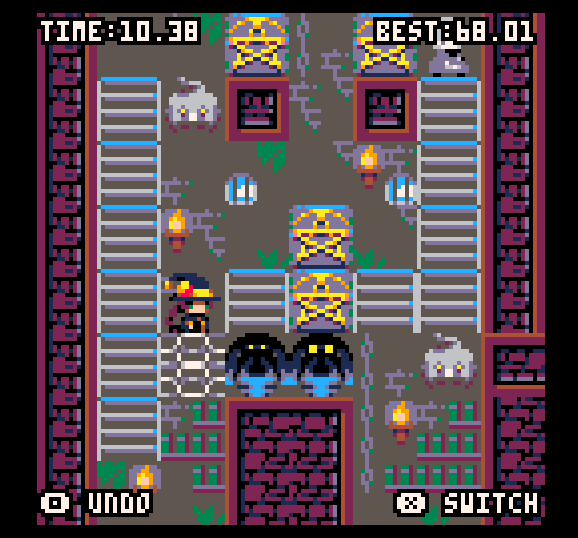 The dream of the '80s is alive in PICO-8. Some of you may remember my commentary on the PICO-8 two (?!) years ago, but for the uninitiated among us, let me give a little introduction. The PICO-8 is a “fantasy console”: It’s kind of like an emulator for some ’80s gaming computer, but the “original system” is made up. To that end, it’s a game development environment that purposely enforces limitations on the developer. In exchange, developers get a portable little game that they can send to their friends in a fancy PNG file or that they can embed in a webpage. I always thought this was a cool idea, but as much as I enjoy working with limitations and reading about the technical details of old systems, I just kind of forgot about it after a couple months. Imagine my surprise when I went for a cruise through itch.io and found that, not only is it still around, there are some seriously impressive games out for it. 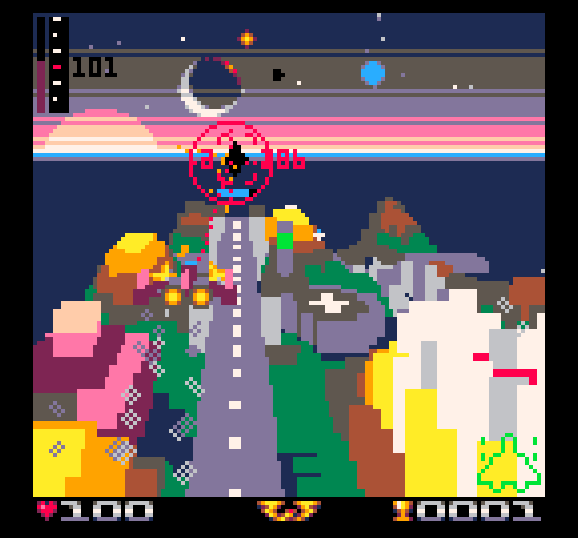 Granted, some might disagree that a difficult to play and kind of pointless 3D shooter is impressive just because they somehow managed to make a stylish 3D game with only 16 colors and a cartridge capacity on par with the Atari 2600, so that may bring it down from “some” impressive games to “a few”. Still, games like Dank Dungeon and Witch n’ Wiz deserve a shoutout as being great games on their own, with the wild fact that they crammed all that gameplay into an 8192 words of code only adding to the wonder. And for the low, low (depending on your perspective) price of $14.99 (or $19.99 if you also want the oft-overlooked voxel fantasy console Voxatron), you can not only create your own tiny games, but you also have access to the code and assets of any PICO-8 game you find. If you can play it, you can see how it was made! Have some idea for your own game, but not sure how to pull it off? You can always steal take inspiration from other developers who managed something similar. While maybe it’s not the best way for a novice to learn to program, it can give some pretty good insight into code golf—As the game gets bigger, you start needing to trim down portions of the code. Being a programmer by profession, I always find it fun to take a challenge, and it’s more interesting for me when the goal is a videogame rather than some abstract concept or puzzle made purely for the sake of doing it. And in the same way, it helps get game projects off the ground, too. I can easily dream up game ideas all day, but sitting down and investing in everything that goes into a game from start to finish is a major undertaking. Art and music and story and gameplay…for all those second-tier game concepts, it’s not even worth getting started. Now imagine that you could drastically limit that investment by cutting the story down to the bare minimum needed, coding out just the very core gameplay, only drawing up very small sprites of only the most central characters, and honestly just skipping music unless you’re really feeling it. You could pump something out in under a week, and you can always take it to Unity or GameMaker Studio later if you thought the finished product came out worthwhile. If not, you have something cool to add to your itch.io account. I feel like the price is fair for what you get, but I worry it’s still too high for the casual developer, keeping it from gaining the same level of acceptance as more serious development tools. I’m just glad to see it has a decent cult following two years later. The retro/lowrez hype train isn’t over yet, so maybe with a few more cool games, the system could gain enough notice to build a lively, thriving community. I’m still holding on to the hope!